Heights are just not my thing. But, there I was dangling in a safety harness 40-feet off the ground. The group below, who had just moments ago hoisted me up to this point by pulling on a rope in tug-of-war style, yelled encouraging comments to me. The leader told me to breathe deeply, enjoy the beautiful scenery and set a personal intention before letting go of the rope clenched in my right hand. To be honest, my intention was to get down from this scary place as soon as possible because I knew if I spent any amount of time appreciating the desert landscape or tried to engage in some intense soul searching, I’d lose my nerve. 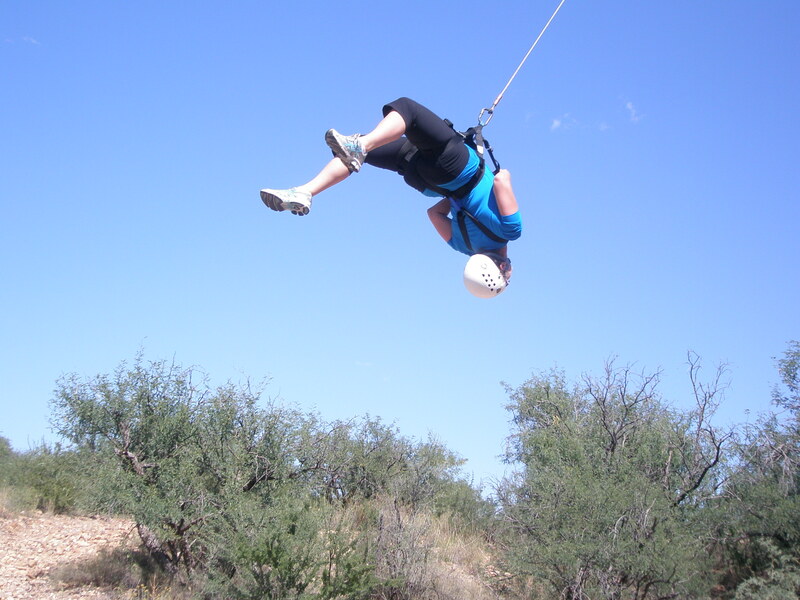 I had signed up for this activity, aptly named “A Swing and a Prayer,” because I wanted to put myself in a situation that would get me outside of my comfort zone. And as heights present a continuous challenge to me, the experience seemed tailor-made to my needs. When I finally let go, I screamed as my stomach dropped in rollercoaster fashion. It felt like the whole world was falling beneath me. I decided it was time for the prayer part of this activity. And then I began to swing in pendulum style from one pole to another. My legs were shaking and I had a white-knuckle grasp on the rope. The movement suddenly changed and sent me soaring in a wide circular formation. I forgot to mention that spinning is not my thing either! Although I wanted to stop, I was urged to take a moment and relax, while letting go of first one hand on the rope, then the other. And I reluctantly did, surprising myself by awkwardly leaning into something that resembled a backbend. As I contemplated the world from this pose, I was suddenly reminded of my childhood and the sense of pure joy and freedom that came from such simple pleasures like playing on the swings. Back on terra firma, with the group congratulating me on my accomplishment, I felt elated and proud. Yes, it was frightening and no, I’m not ready to audition for Cirque du Soleil, but it was also liberating to completely let go and exhilarate in the moment. Celebrating life and one’s limitless potential is what it’s all about at Miraval, a well-known destination spa near Tucson, Arizona. 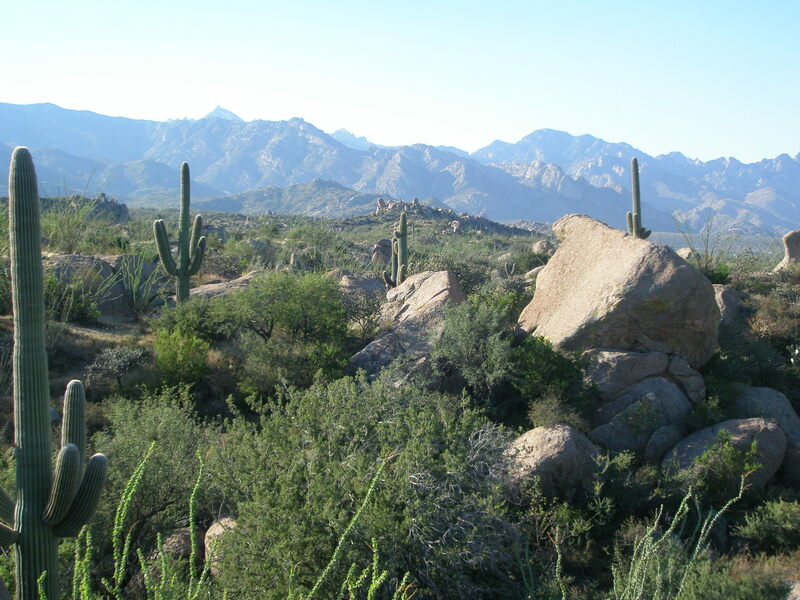 This special retreat, nestled on 400 acres of idyllic land within the picturesque Santa Catalina Mountains, prides itself on its pioneering self-discovery and growth activities, not to mention its luxurious accommodations, deliciously healthy cuisine and state-of-the-art fitness and spa facilities. It’s a place to be inspired, rejuvenated, appreciated and motivated to focus on your emotional, spiritual and physical well-being. 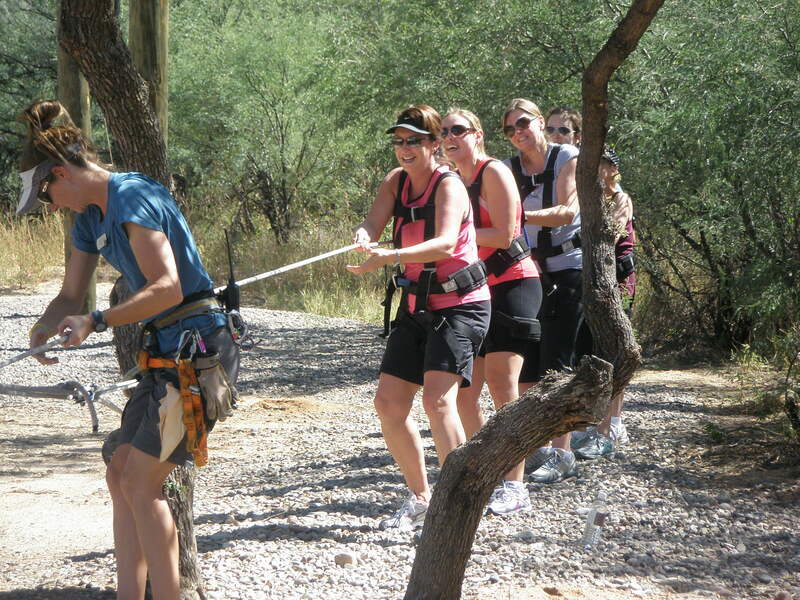 There are many reasons why people come to Miraval. For some, it’s the need to get out of the rat race for some good old R&R, along with a hefty dose of pampering. Others view it as a chance to kick start a program of healthy habits. And then there are those who are eager to try new activities and challenge themselves in different ways. There are also individuals who come in search of help to deal with relationship or grief and loss issues. Though each has his/her own purpose, they all share a commonality: the desire to do something good for themselves. 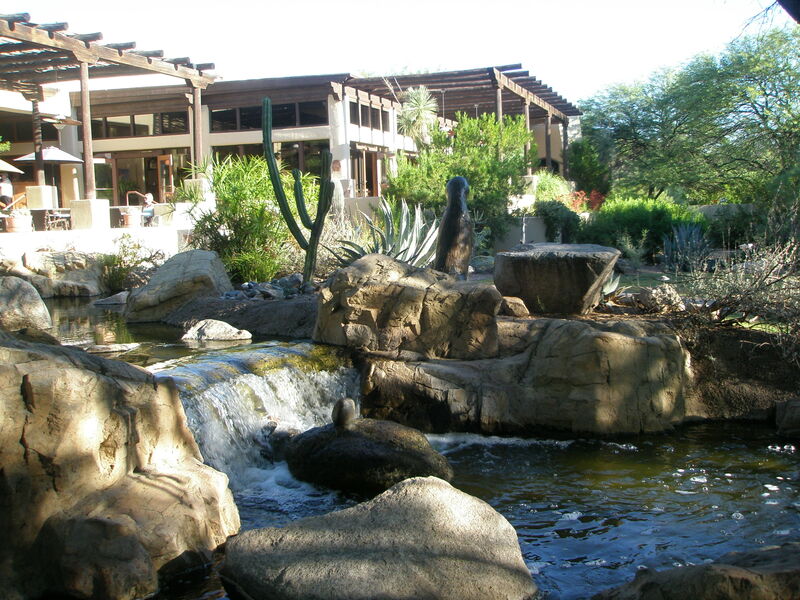 A stay at Miraval is the ultimate gift to yourself. And you can spend it anyway you wish. One of the most popular spots is the spa, where an extensive menu of services is delivered by practitioners with magic hands in serene indoor and outdoor sanctuaries. There’s everything from hot stone massage and anti-aging facials to mud wraps, prickly pear sugar scrubs and even acupuncture. One of my favorite treatments is Aqua Zen, a form of massage within a warm water pool. The water invites complete relaxation and allows the body to be manipulated and stretched with greater freedom than traditional massage. The results are wonderful. Stress and strain melt away and you are left a loosened and lighter being. When you’re ready to leave spa heaven, you can opt to continue the bliss with a nap poolside or on the deck of your private casita. Or maybe you’d like to get your heart pumping a bit. If so, check out the Body Mind Center, where you’ll find classes in spinning, yoga, Pilates, kickboxing, dance, water aerobics and other body conditioning activities. It’s fun to try something new. I dropped in on a cardio drumming class and was surprised at the high-energy workout it gave me, not to mention the pure joy I got from beating on the drums within a supportive and uplifting group setting. 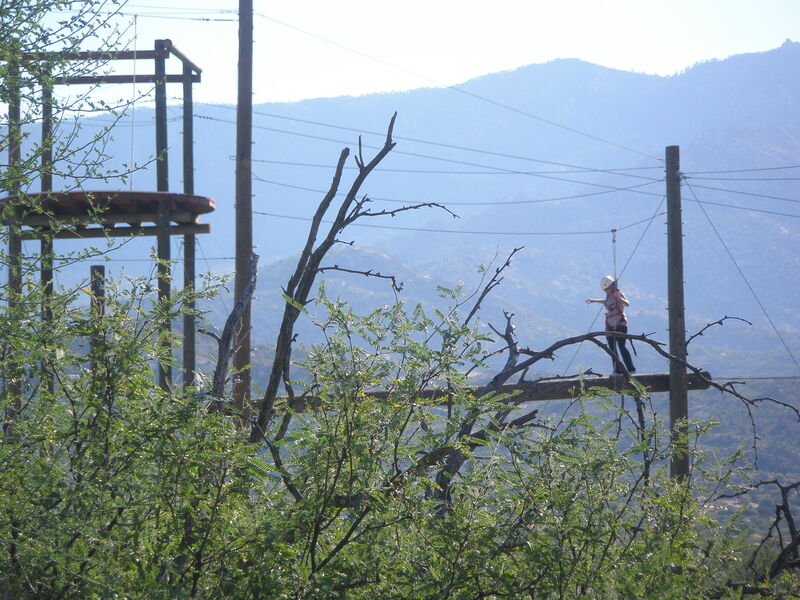 For the adventurous adrenaline junkies, there’s rock climbing, mountain biking, a challenge course and even a zipline experience. When you wish to quiet your mind, there are guided meditation sessions offered at various times of the day. One morning I started out with I Chi Flow, a class that incorporated Tai Chi movements in the water. The gentle flow of the movements combined with the warmth of the early morning sunlight and the sound of the birds chirping brought serenity to my soul and gave me positive energy to begin my day. 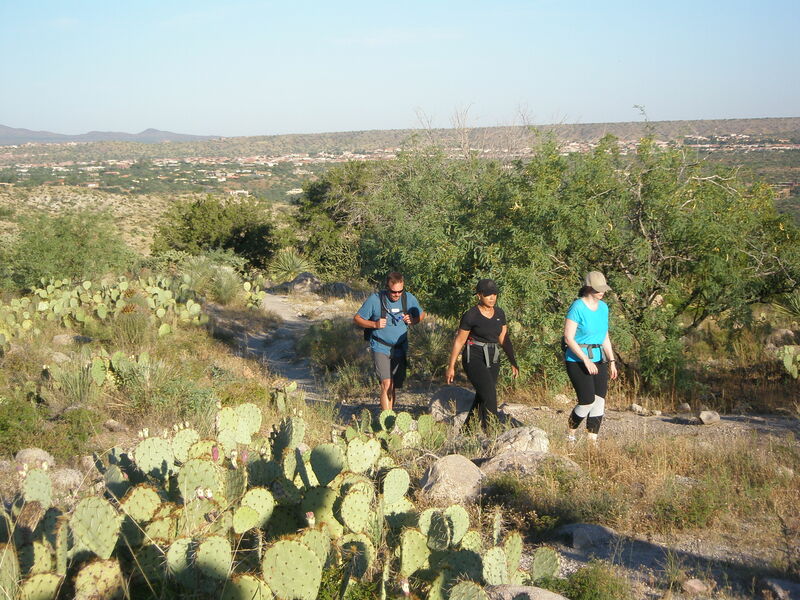 Another morning I opted to do a group hike in the surrounding desert landscape. 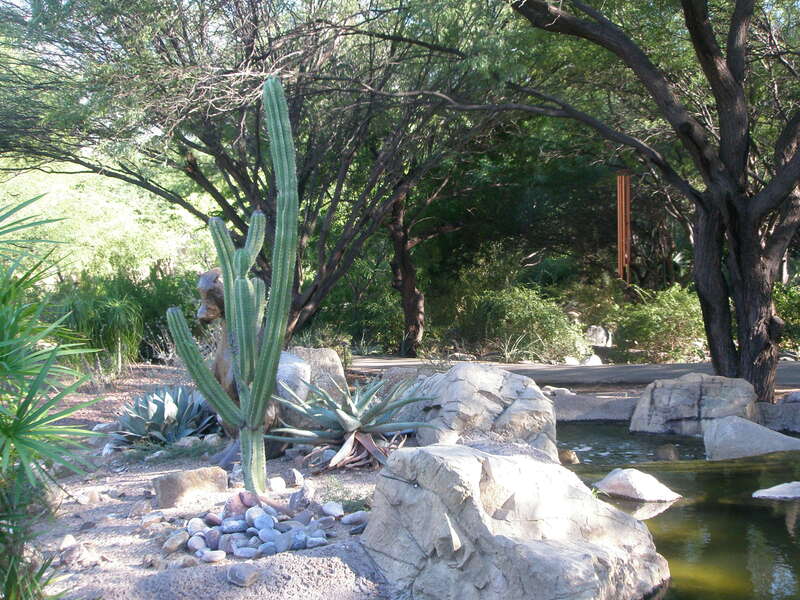 Wild flowers and jack rabbits poked their heads up among the interesting shaped cacti. And even a colorful Gila monster showed up in this natural splendor, only to slither quickly into the brush. If you are interested in outlets for self-expression, the spa also has you covered. 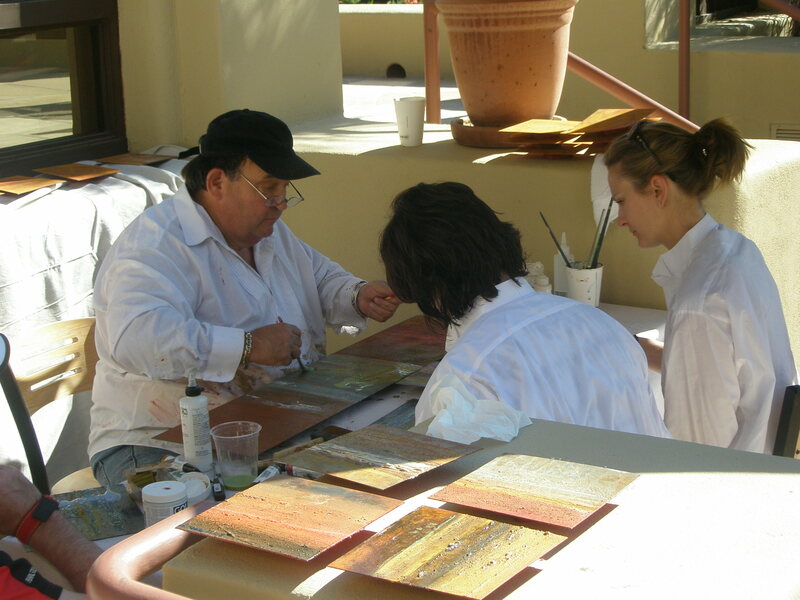 Unleash your creative spirit or hone your artistic skills in sessions devoted to painting, weaving and photography. One of the more unique and newest experiences at Miraval is “An Unforgettable Canvas,” which encourages participants to use the side of a horse as their canvas to paint. Just as Native Americans did years ago to tell stories in symbols on the sides of their horses, workshop attendees have the opportunity to do the same. Horses are used as living, breathing canvases as a reminder for participants to stay present and grounded in the story-telling process. A session in the ring followed. Using body, breath and movement, each participant had to get a horse to walk, trot, change directions and then come to a complete stop. You weren’t allowed to talk or touch the horse in the process. 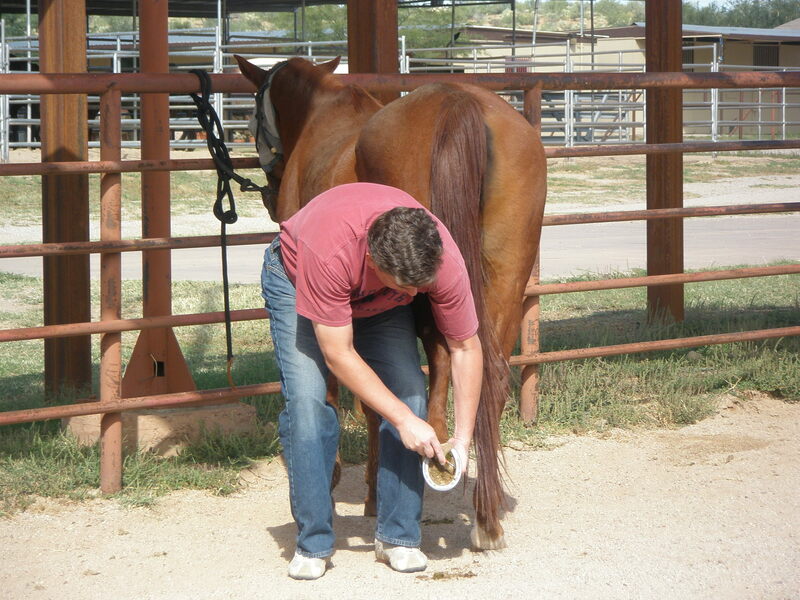 To be successful in this endeavor, you can’t be a tightly wound vessel or allow your energy to overpower you — because you will convey this to the horse and it will most likely react adversely. “Horses only pick up two things,” says Webb. “Is it safe or unsafe? 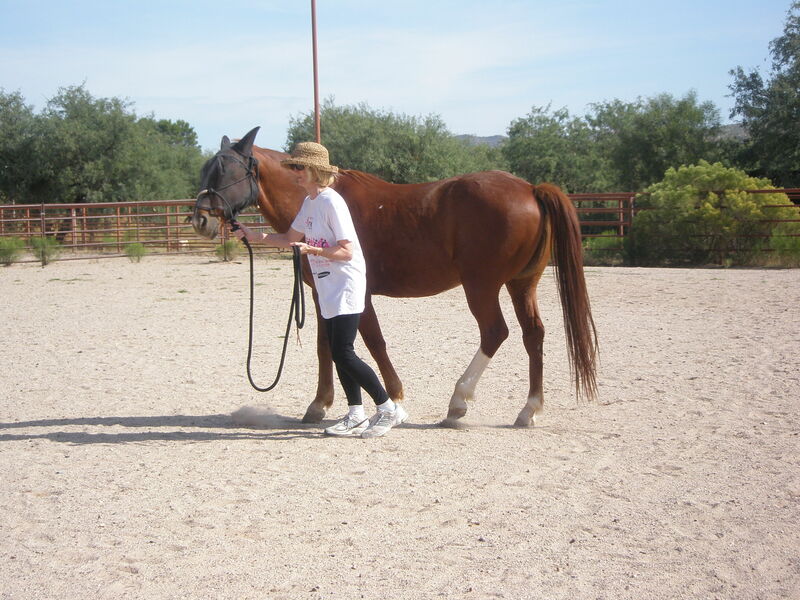 Clear or unclear?” Remembering to breathe deeply, the Miraval “mantra,” I calmed my nerves and miraculously was able to get the horse to follow my directions. It was definitely a “horse whisperer” moment and one for the memory books. All this activity, fresh air and introspection do wonders to stimulate the appetite. But, if you think you’ll be restricted to a Spartan diet simply because you’re at a spa, think again. 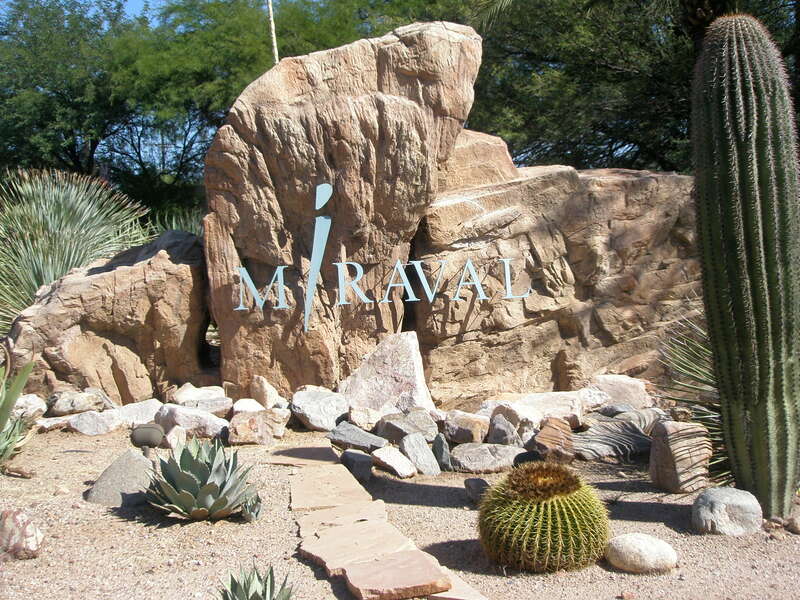 Miraval’s award-winning cuisine is created with the belief that healthy ingredients can also mean exquisite flavor. Guests are encouraged to explore mindful eating and discover tasty, satisfying dishes that are moderate in calories and fat. 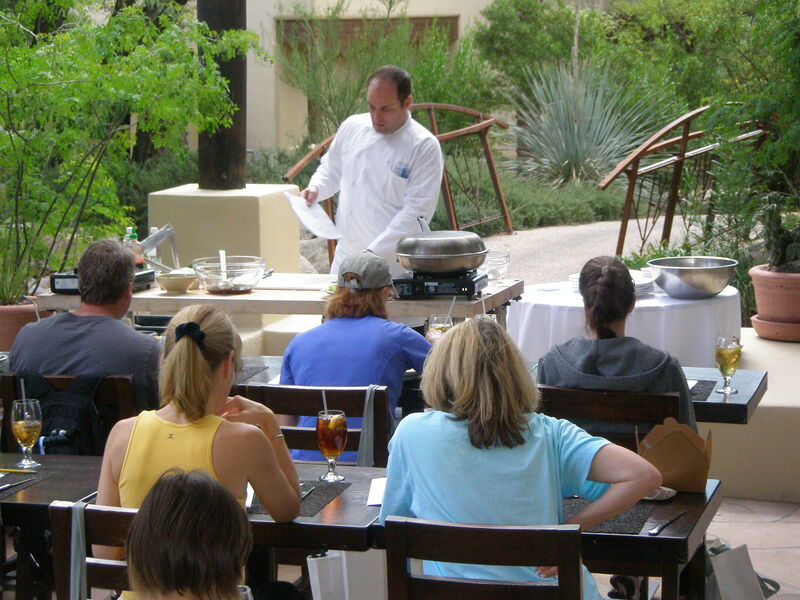 For those interested in learning healthy cooking tips and tricks, the spa offers a variety of instructive culinary workshops and cooking demos. 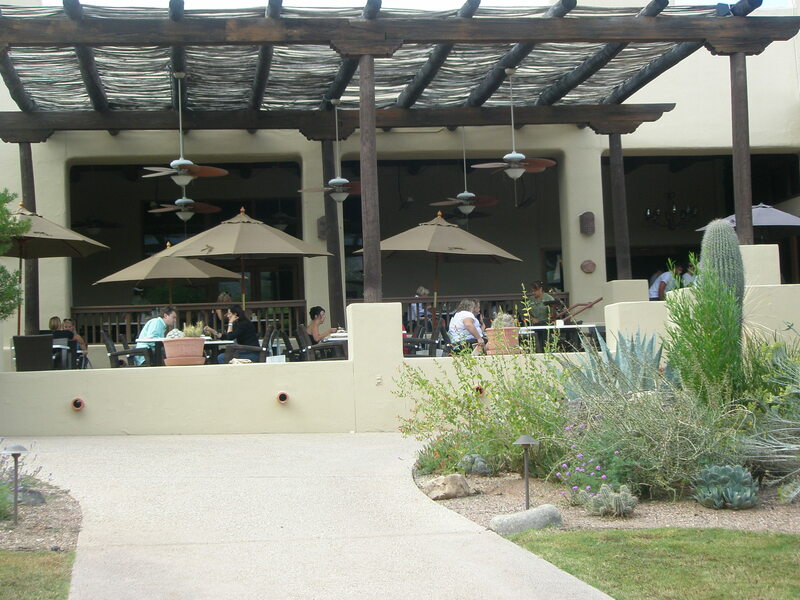 Mealtime at Miraval is a wonderful opportunity to connect and share experiences with others. Don’t worry if you come solo. You’ll be in good company, as there are others who have chosen to make this journey on their own.